Art Gallery Cards: Covering the County--Titusville Art League and Cocoa Beach Library Classes! Covering the County--Titusville Art League and Cocoa Beach Library Classes! I say this often but I AM a lucky girl! I get to have classes with wonderful gals from one end of the county to the other!! In addition to my Monday Art Gallery Cards classes, I travel to Titusville twice a month for fun classes there. 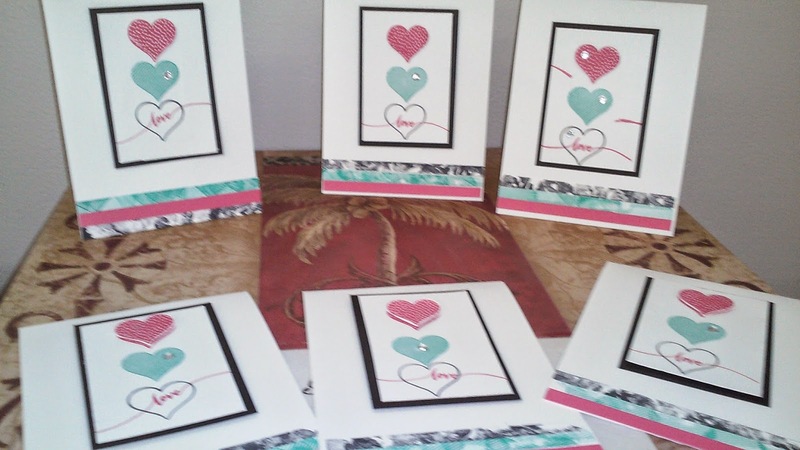 One Wednesday a month I have been going to the Cocoa Beach Library to make cards with the Central Brevard Gals. And don't forget my SOS stampers that come to my home (The Stamping Oasis) once a month! I am fortunate to get to use beautiful spaces for classes and to keep meeting more and more wonderful ladies that share my love for card making! My thanks to all for your making our classes fun and successful! Here are some of our recent pretties! This is a CASE from my friend, Linda! I just love it!! This is Linda's design too! Thank you, girlfriend!! I had planned to use Blendabilities or aquawriters and color this Moon Lake iage but I decided upon a monochromatic look. 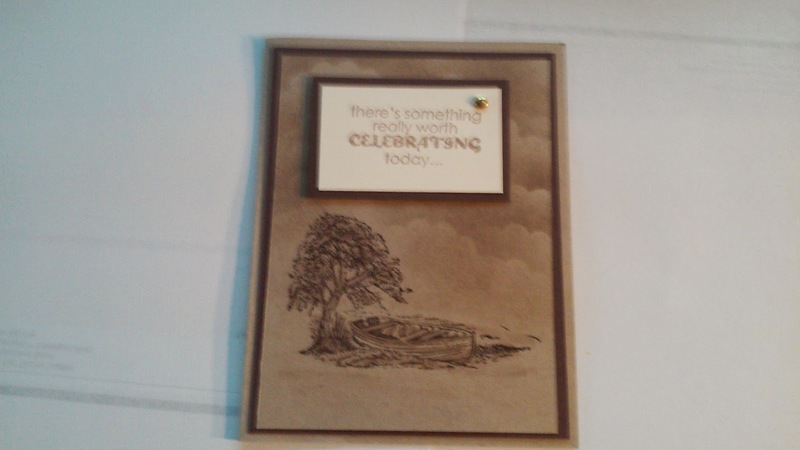 A template made with scallop circle punches let me sponge the gathering clouds in the picture. I think it's time for some blog candy so if you are first to email moon lake to me, you win. I love this stamp set, World of Dreams. So sweet and peaceful, don't you think? 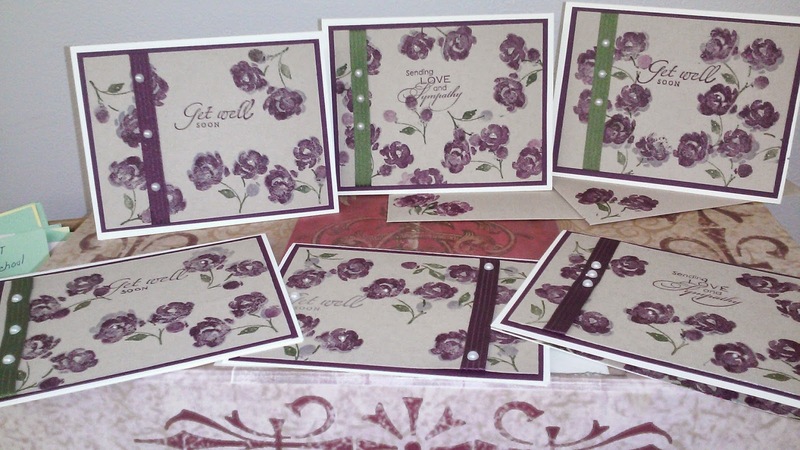 Have a happy stampin' and creative week! !